When was the last time you spent the night at an actual castle? Having recently stayed at several Fairmont properties in Hawaii back in December, I was thrilled to experience Fairmont Banff Springs a few weeks ago in Banff National Park — a labyrinth of a hotel that doesn’t just look like a castle; it is a castle. 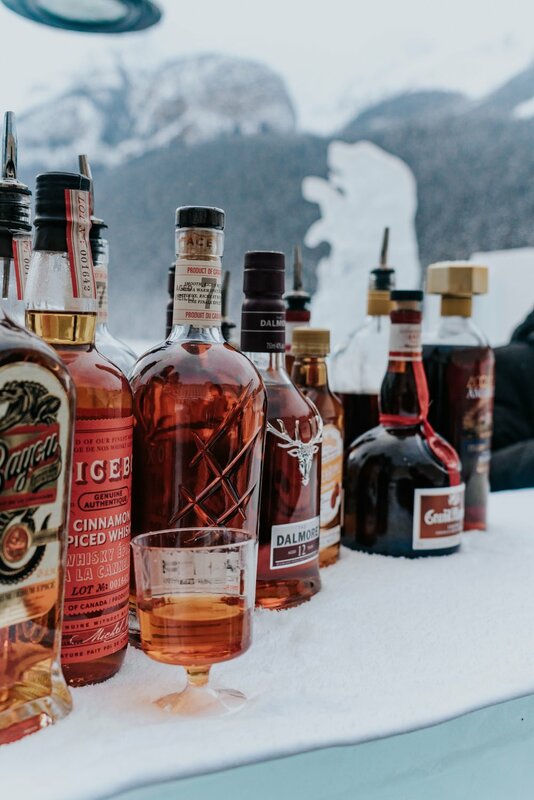 If you’re visiting Banff this winter, check out my guide to exploring SkiBig3, Banff’s three ski resorts! We used the Fairmont Banff Springs and Fairmont Chateau Lake Louise as our home bases for our ski weekend in Banff National Park, easily allowing us to visit all three ski resorts without moving hotels. Words cannot do justice to the winter magic that is Banff, and Fairmont Banff Springs is the ideal home base to experience all the skiing, snowboarding, ice skating, hot toddying, s’moresing, and fondueing the area has to offer. Upon check-in, the lovely gal at the front desk will encourage you to get lost in the castle, which is easy to do! Over 130 years old, Fairmont Banff Springs is both a UNESCO World Heritage Site and a National Historic Site of Canada — there’s a small area behind the check-in desk that showcases some history and original artifacts of the castle. 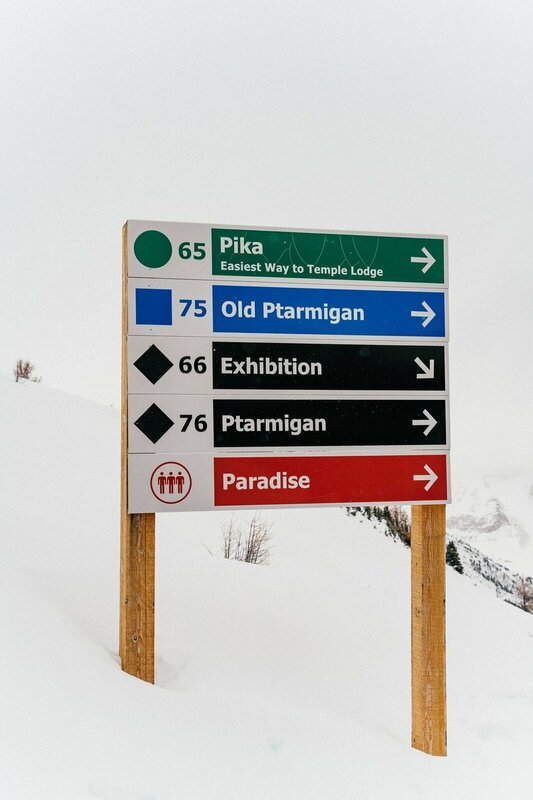 We thoroughly enjoyed our 4 day visit here recently — the perfect home base for all three ski resorts in the area. 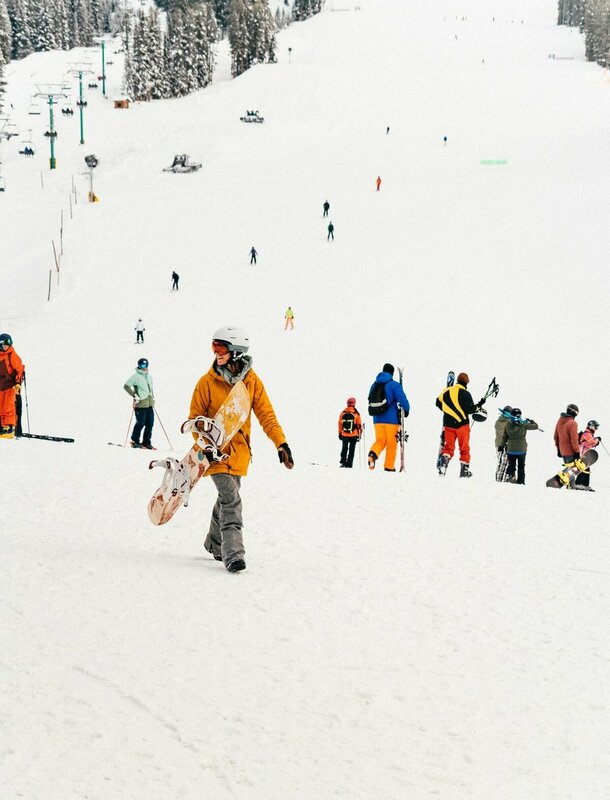 The SkiBig3 team will even deliver your rented skis or snowboards to the hotel, and the hotel will keep them in storage for you — complete with drying racks for your boots! Skiing not your thing? Don’t worry, there’s still plenty to experience and enjoy in Banff without having to strap in. You could easily spend an entire day at Fairmont Banff Springs without leaving the property once. For starters: the spa. I’ve been to Willow Stream Spa locations at other Fairmonts, and this one didn’t disappoint — mineral pools ease and relax tired muscles, with music playing inside the pool to help you relax while you swim (yes, really)! The dining here is also exceptional: we enjoyed impeccable brussels sprouts from Rundle Lounge on two different occasions, and Bavarian food from Waldhaus (steps from the hotel — spring for the free shuttle to stay warm) made the best meal of the trip. Start each morning with a hot coffee, green smoothie and fast WiFi from STOCK, a very cute café downstairs, before hitting the slopes (a shuttle bus can take you to each ski resort, if you prefer not driving). As is customary with Fairmont properties, gratuity for things like valet is included with your booking price, which makes for a hassle-free experience. We were able to store our ski gear in a heated room downstairs each night to easily pick up the next morning. SkiBig3 offers a complimentary shuttle to the nearby ski resorts each day, but we opted to drive ourselves which worked out well. If you’re itching to explore the town, you can take a shuttle from the hotel to downtown, but you’ll need to either take a bus, cab or walk back. Thankfully, Fairmont Banff Springs is only about half a mile from the main drag. If you’re visiting Banff any time of year, surely Lake Louise will be on your list — and for good reason. The famous turquoise alpine waters are even more stunning in person, although in wintertime, they are hidden under layers of ice and snow. There is no better view of the lake than Fairmont Chateau Lake Louise, which is situated directly on the lake and offers an unparalleled look at Banff. Rent ice skates or ice hockey skates for an hour, or simply roam about the grounds admiring ice sculptures with a hot drink in hand. Bonus points if you visit the ice bar… yes, a bar made entirely of ice! Travelling in the winter is no joke. Layers are the name of the game. Regardless if you’re skiing at Sunshine, snowboarding at Mt. 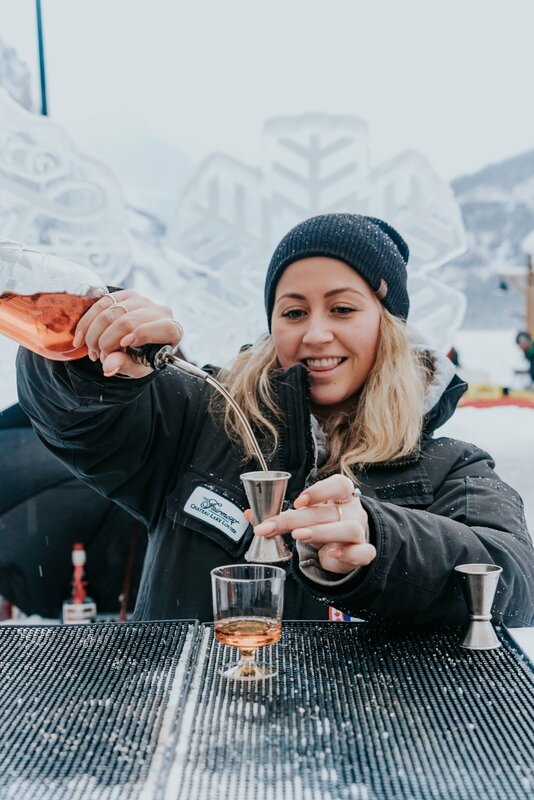 Norquay or lounging at the lodge at Lake Louise Ski Resort, temps are in the teens and you’ll want to plan accordingly. My daily outfit was something along the lines of leggings under jeans, thick woolen socks, boots, long sleeve shirt, mid layer, a nice jacket, gloves and a beanie. I tend to always bring hand warmers when I travel to cold weather destinations but end up not really using them — honestly, if you bring the right gear, you shouldn’t get too cold. Bring more socks than you think you’ll need. Some of my favorite functional-meets-fashionable cold weather brands are Nau, Patagonia, Lululemon, Sorel, and Marmot. Use packing cubes to fit the bulky stuff in your carry-on, and wear your snow boots on the plane to conserve room. Don’t forget your swimsuit for the pool and spa! When was the last time you visited Banff? Do you prefer going in the summer or winter? 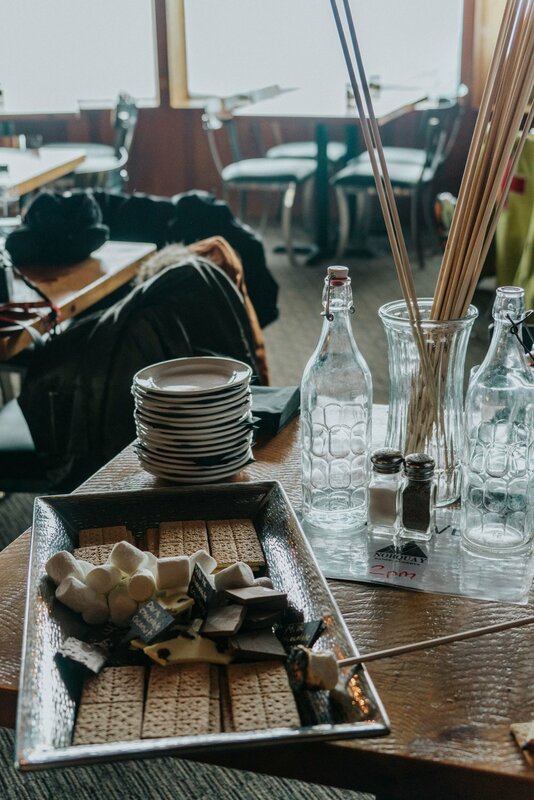 This content is produced in partnership with SkiBig3, Fairmont Hotels and Travel Mindset — as always, all thoughts and opinions are my own.